We were the first breeding company in the industry to test for 100 weeks. Thanks to the extended production cycle and extensive field testing, this objective is already a reality for many egg producers. Explore the resources below to learn more about layers breeding, selection objectives, field trials and genetics. Good feathering is important for a bird’s health and welfare, productivity, and feed conversion. Frans van Sambeek, Director of Research and Development, explains the recent updates to our product performance standards. See how it guides us through the investment in breeding and research and development, leading to the new standards and improved performance you can expect from our brown and white layer products. 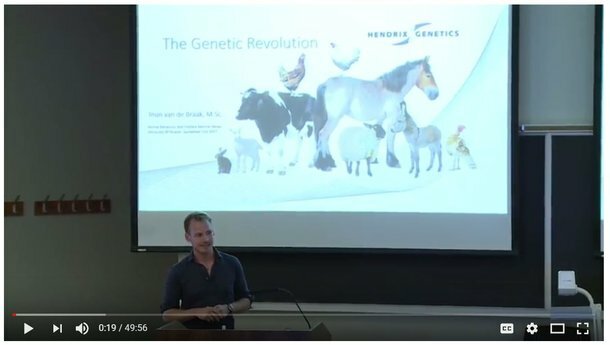 Geneticist Teun van de Braak recently spoke at the University of Guelph in Canada. His talk focused on the history of layer breeding, our programs, and breeding with welfare and sustainability in mind. One of the most important reasons for continued genetic progress is our commitment to extended pure line testing. In 2008, a change was made to increase pure line testing from 80 to 100 weeks. Almost 10 years later, it is important to review the reasons for this crucial decision and measure the results. 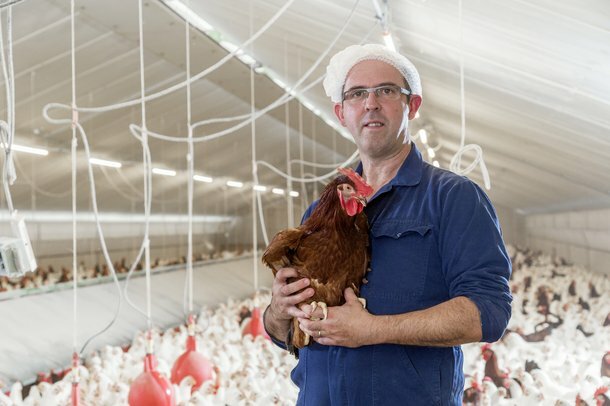 As the US and EU move away from cage housing systems, industry members are taking steps to ensure that producers have the best opportunity to switch to this system as easily as possible. Breeding for livability is a key focus for our breeding division. How do we achieve this goal? A conversation with Teun van de Braak, geneticist for Hendrix Genetics in the layers department.